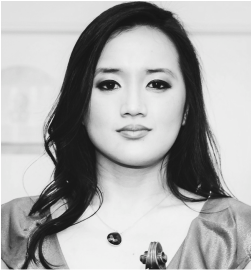 Now in its sixth edition, Dublin Brass Week was founded in 2013 by Irish trumpeter, David Collins and his violinist wife, Sarah Sew. They were joined by trombonist and Captain in Defence Forces School of Music, Thomas Kelly, in 2016. 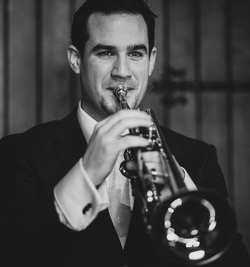 David previously held the position of 2nd Trumpet & Principal Cornet of the Ulster Orchestra, based in Belfast, Northern Ireland, and is currently on the brass faculty at both Royal Irish Academy of Music and DIT Conservatory of Music. David founded Dublin Brass Week with the aim of linking the Irish brass music scene to like-minded musicians from the international brass community. DBW started as masterclasses for trumpet and has grown each year, inviting 15 faculty and hosting over 40 students representing full orchestral brass from throughout the world for DBW19. The DBW Academy programme, launched in 2014, selects young brass players resident on the island of Ireland to participate in Dublin Brass Week. Dublin Brass Week offers an intensive yet varied schedule of events in which players can perform and learn in multiple settings. These range from traditional masterclasses, individual lessons, concerts and ensembles to more specialised classes such as audition training, lectures, screened orchestral audition, jazz and improvisation classes. Additionally, the annual Dublin Brass Week Concerto Competition is held during the festival with a jury consisting of faculty members. Each year, Dublin Brass Week invites a faculty of leading soloists and internationally renowned teachers to teach, play and share their knowledge at DBW. Dublin Brass Week's unique atmosphere provides a positive and encouraging setting for musicians from around the globe to meet, collaborate and share their passion for brass music. Dublin Brass Week receives no government or Arts Council funding and functions solely through the committed support of its sponsors.